Another blazing bit of U.S. politics framing by Germany's leading news magazine. In 1987, R.E.M. 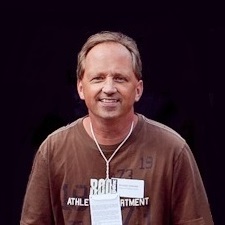 released “It’s the End of the World as We Know It.” In 2004, the band opened a concert for the first time with that song, at Madison Square Garden, two days after the re-election of George W. Bush. Today, German magazine Der Spiegel repeats the famous chorus, minus the “It’s,” with only half the American electorate feeling fine. Looking at this great piece of artwork, it’s hard not to think of a certain Time magazine cover. 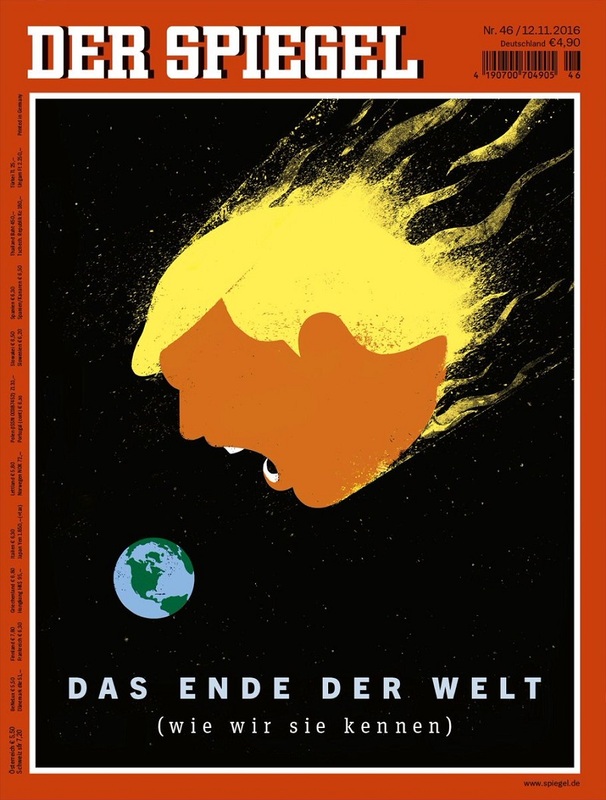 The artist responsible for that August Donald Trump “Meltdown” illustration, Edel Rodriguez, is also the author of this Der Spiegel Trump comet. This week’s Der Spiegel cover frames an astonishing 57 pages of related content inside the magazine. A spokesperson tells FishbowlNY they are translating two of the articles at press time into English and will post those around 7 p.m. Berlin time today. More will follow next week. To bookmark-listen to the full podcast conversation with Stipe, click here.